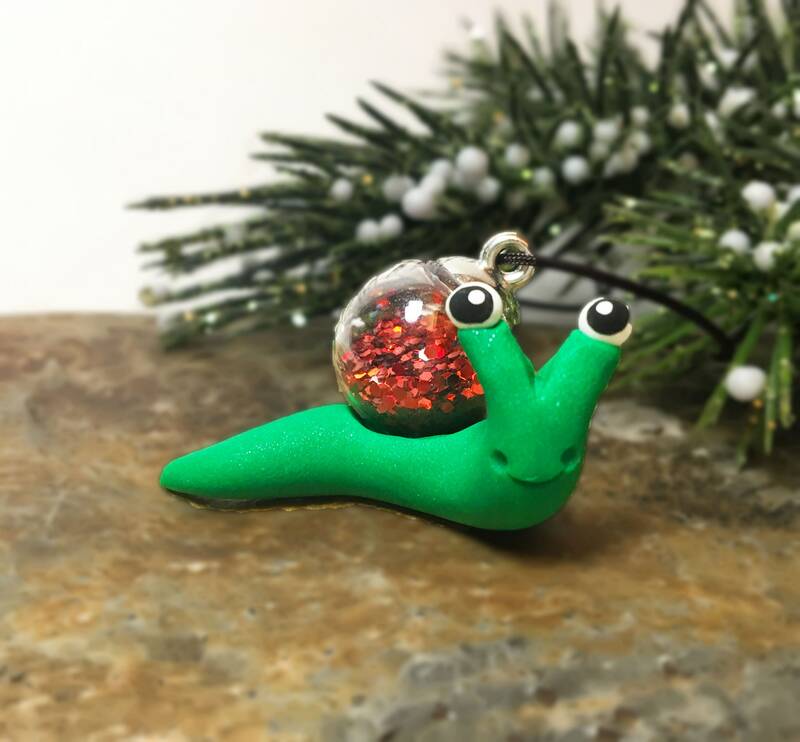 Snaily Christmas to you! 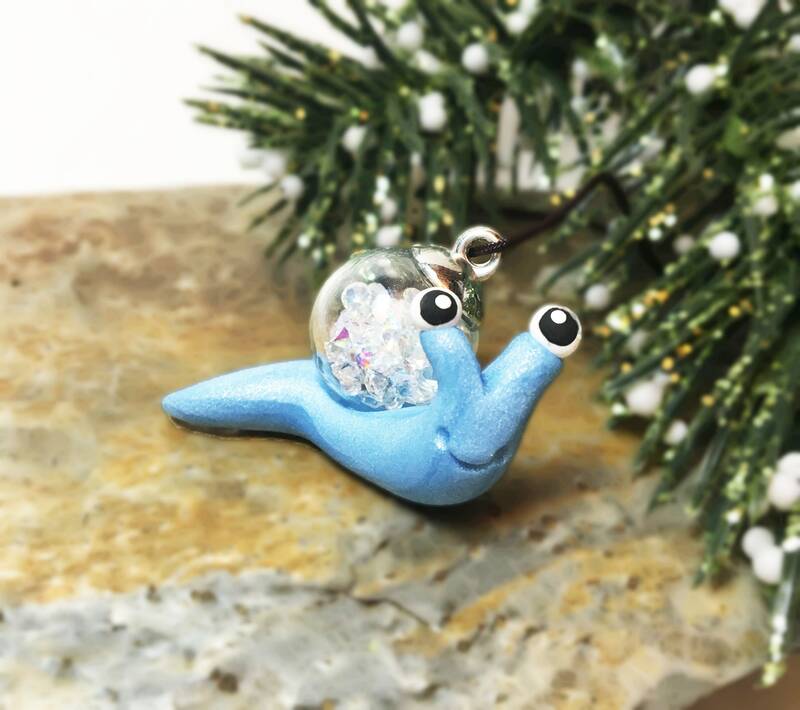 These derpy, adorable little snail ornaments are the perfect touch for small trees, and make excellent gifts! 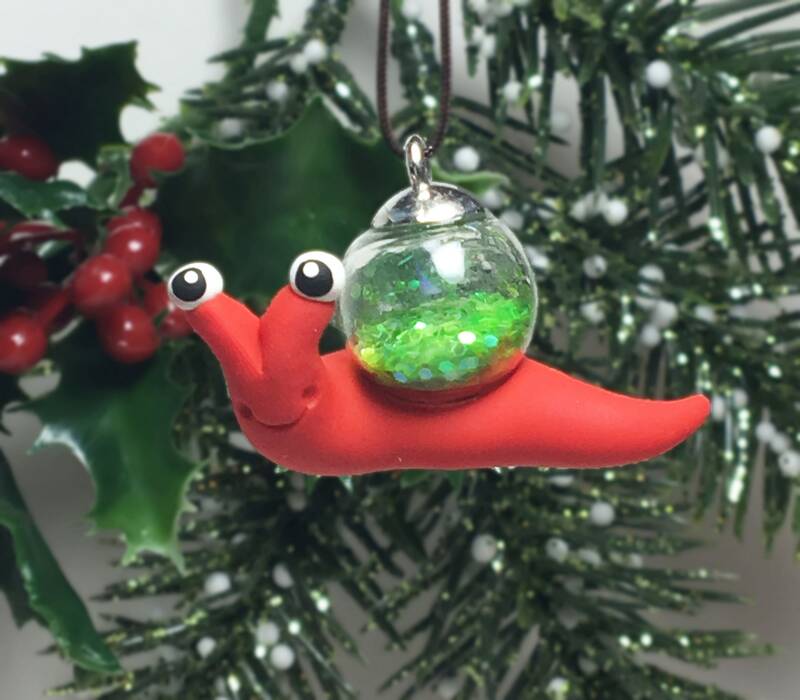 Complete with an ornament-ball "shell" full of loose glitter, the snails are ready to bling up your tree. 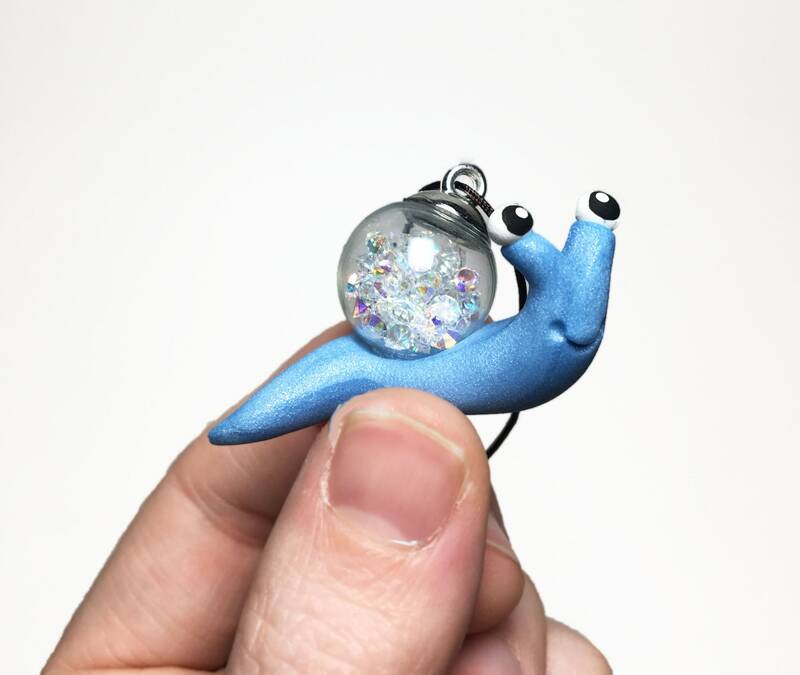 - Hangs from a black cord- best when hung up at eye level or above! 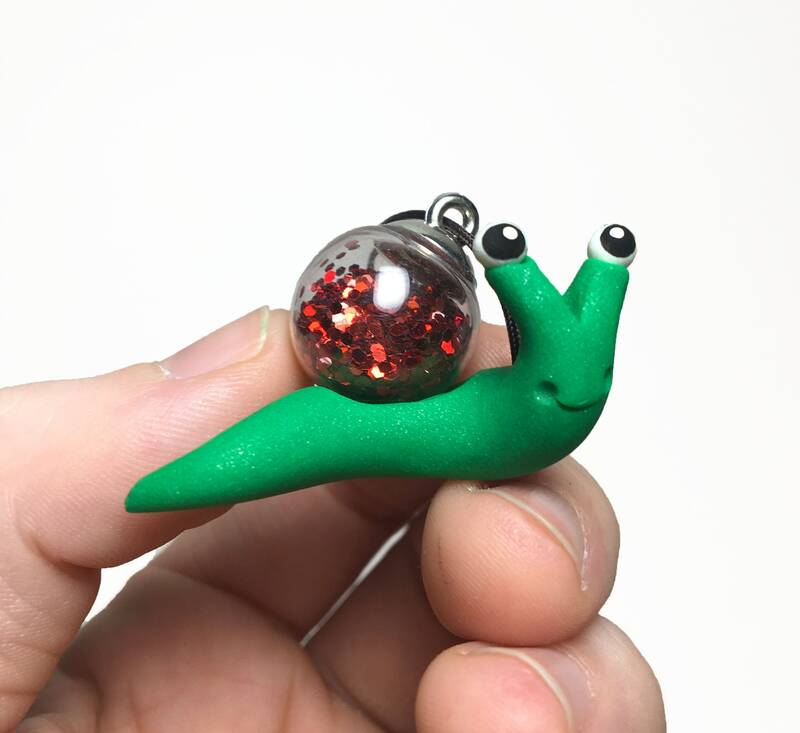 - Extra derpy for your sluggy friends and family! 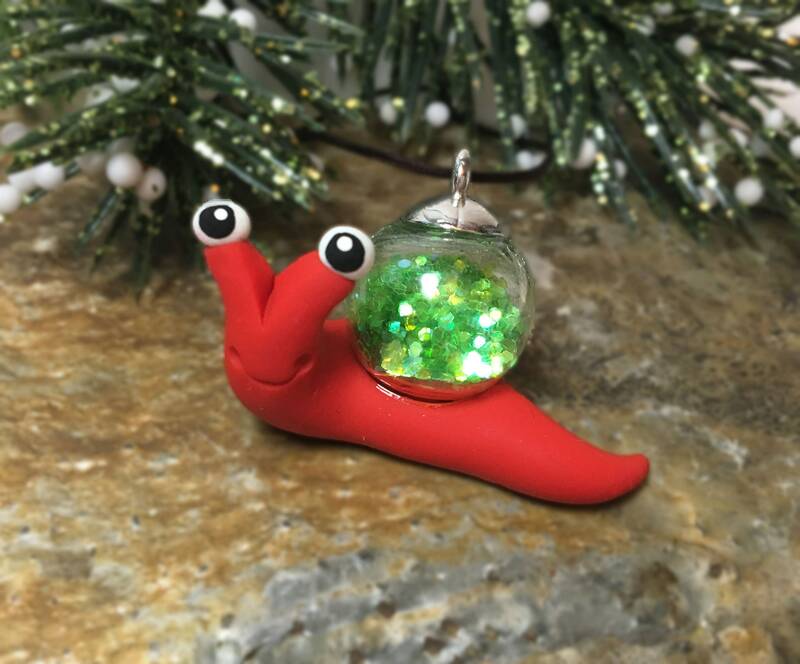 I received the snail today and absolutely love it. 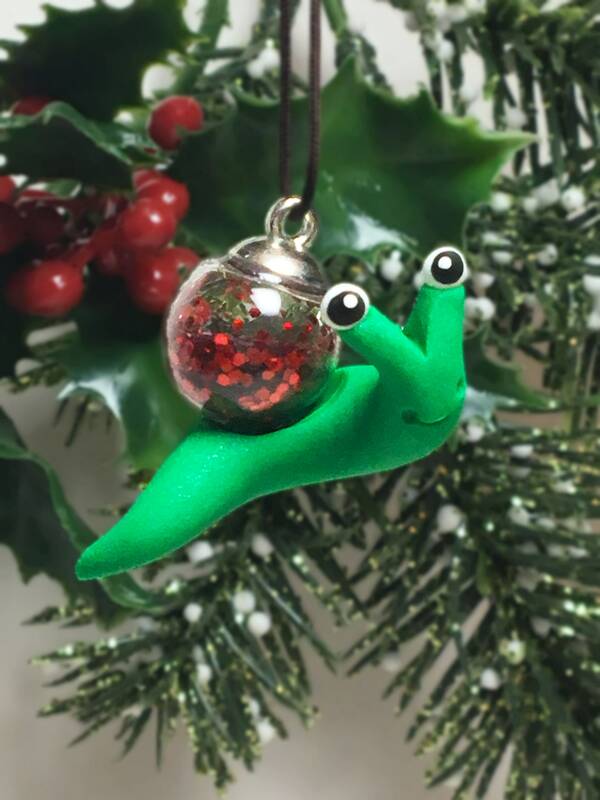 Every year we buy an ornament for my son(now 17) that has meaning in his life at the time. 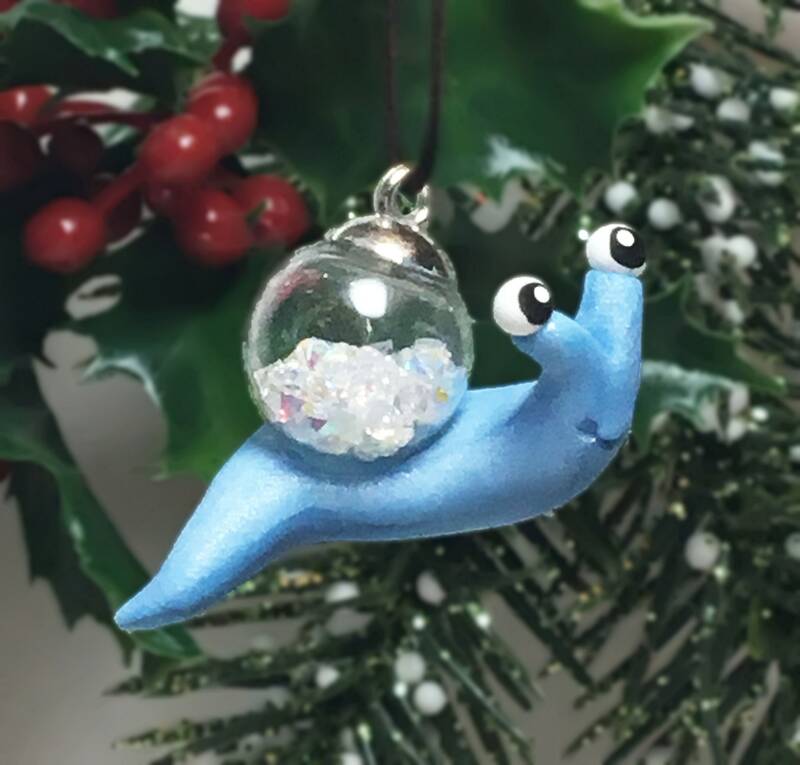 He has a snail tank this year and this was the absolute perfect ornament. 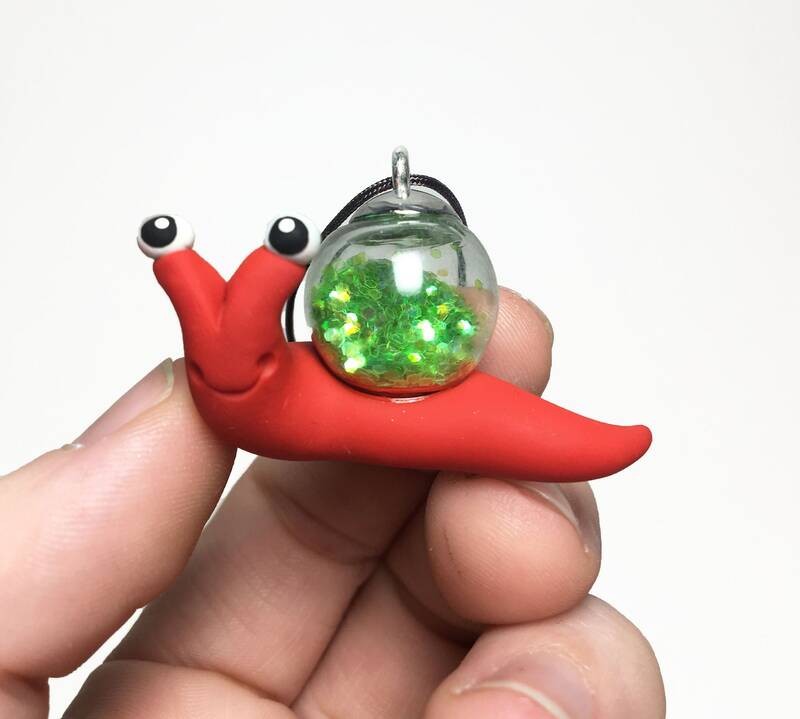 Thank you for a great product!! We will be back.